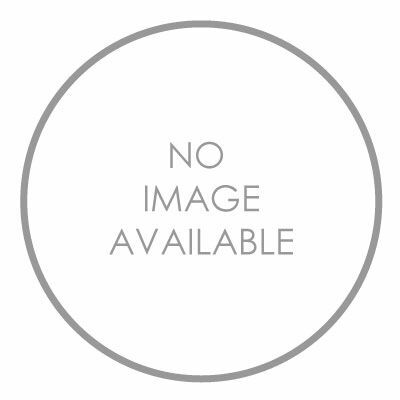 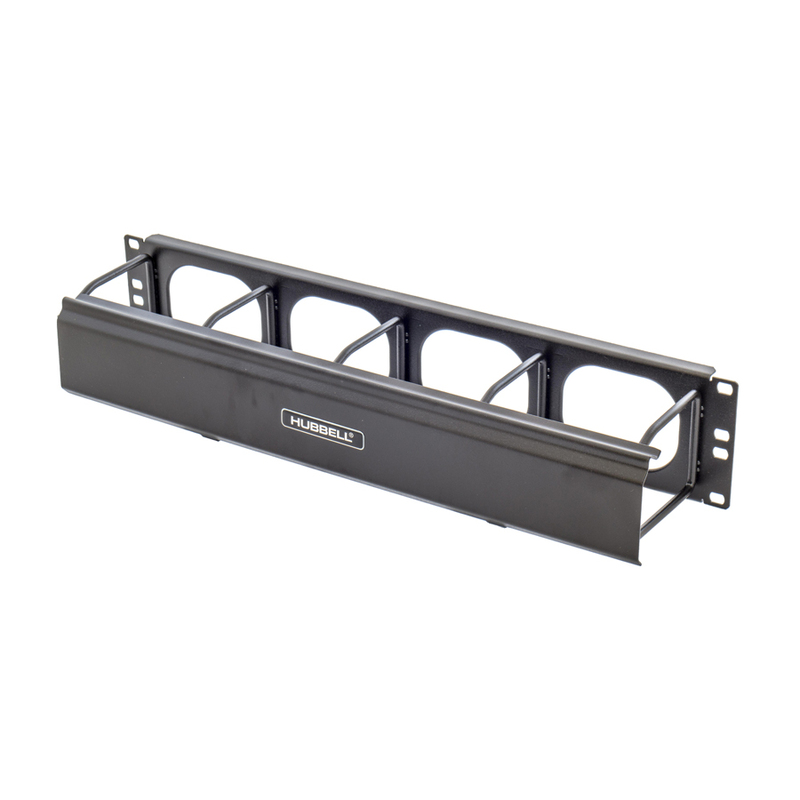 These aluminum fiber splice trays can be ordered with either fusion, mechanical or fusion with sleeve splice holders and come with a clear, snap-on polycarbonate cover. 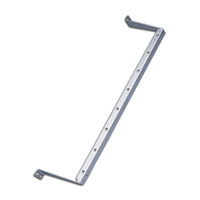 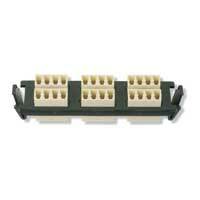 The standard tray holds up to 24 splices. 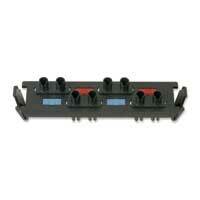 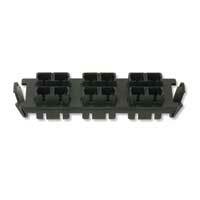 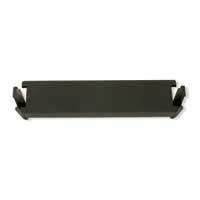 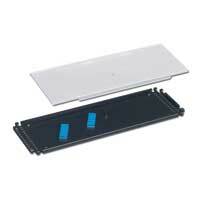 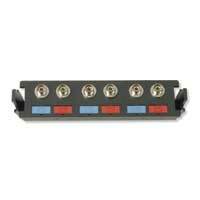 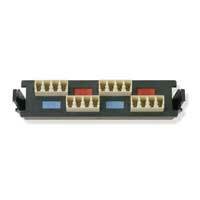 For tight area, a mini-tray is available which accommodates up to 12 splices. 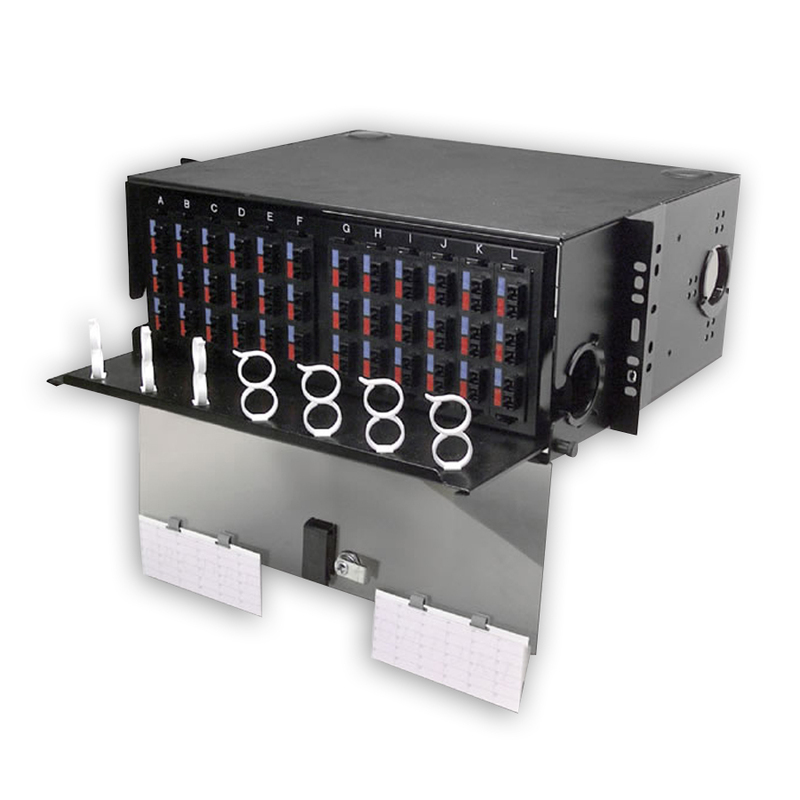 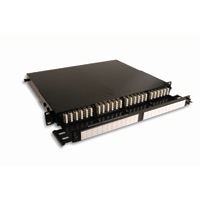 Fiber splice trays can be stacked for high-density applications. 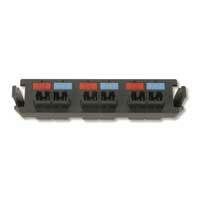 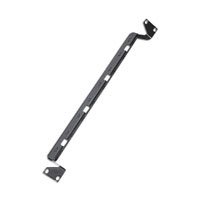 The WM-3A feature an innovative, angled "V-shaped" design which provides direct and smooth routing of cables to the patch panel from either above or below. 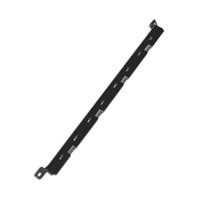 There are cable eyelets for securing cable ties (included) and cutouts for inserting our hook and loop cable managers (available separately). 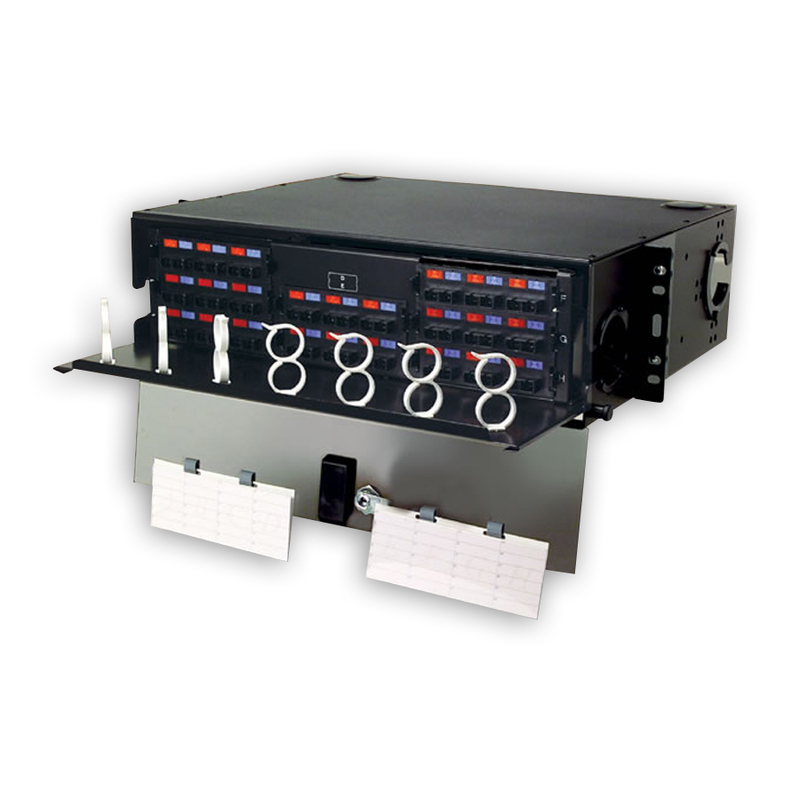 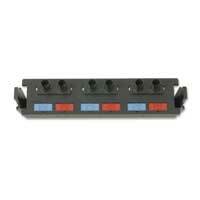 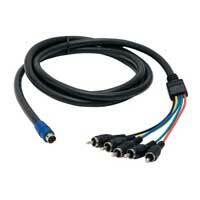 The designs keep the wire manager at an adequate distance from the panel to provide proper space to route cables. 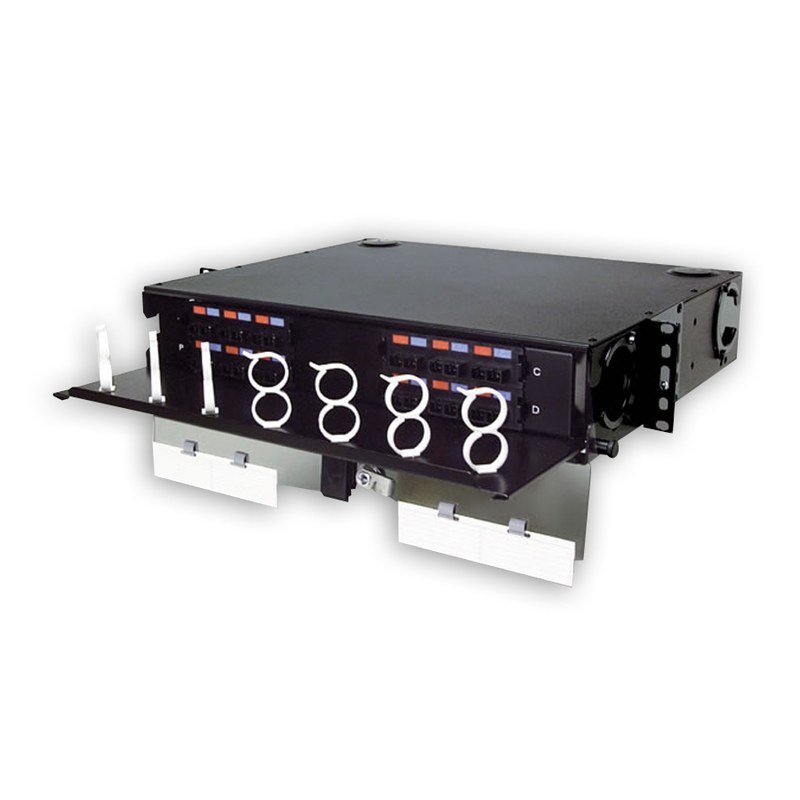 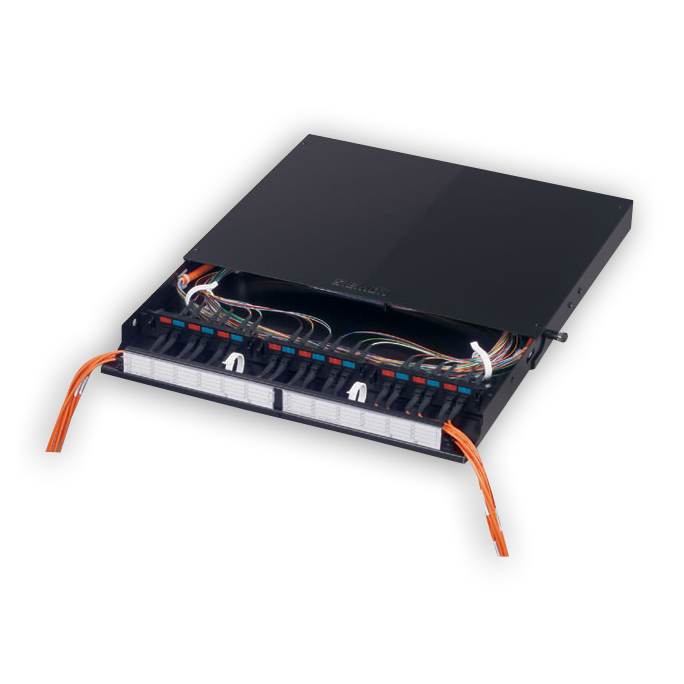 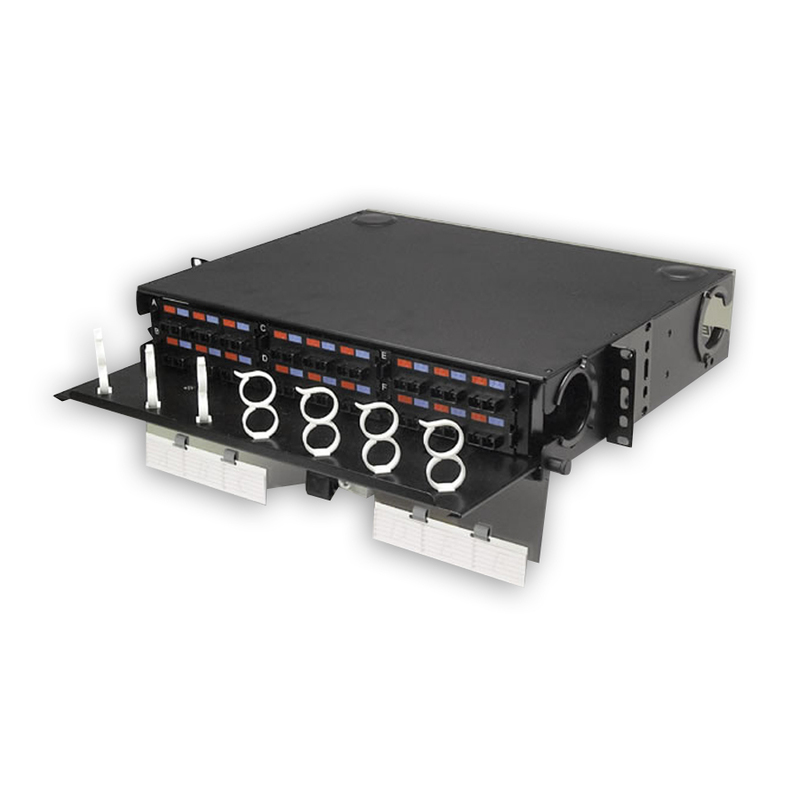 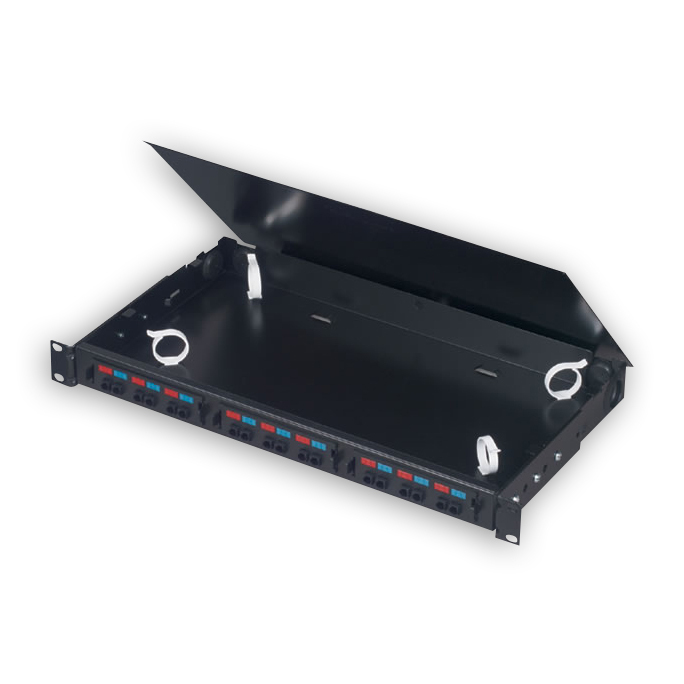 The WM-6A feature an innovative, angled "V-shaped" design which provides direct and smooth routing of cables to the patch panel from either above or below. 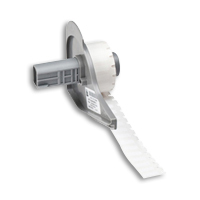 There are cable eyelets for securing cable ties (included) and cutouts for inserting our hook and loop cable managers (available separately). 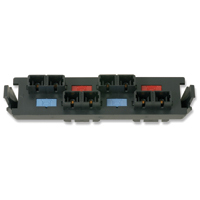 The designs keep the wire manager at an adequate distance from the panel to provide proper space to route cables.